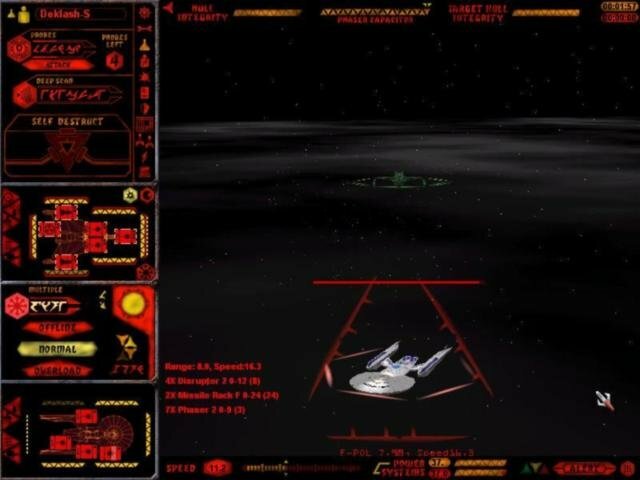 Based on the board game Starfleet Battles from 1979, Starfleet Command lets you guide your fleets and crush the opposition, switching between a 2D campaign map and a 3D battle arena for ship-to-ship combat. 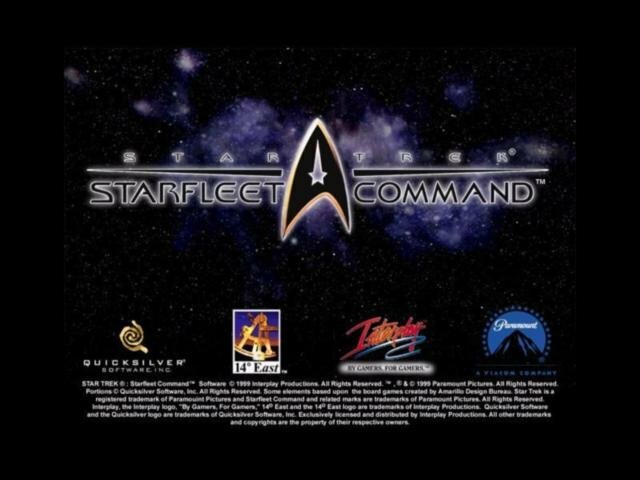 Starfleet Command attempted to blend the methods and strategies witnessed on television with a unique and home-grown set of fiction for a wargame that encompassed just about everything for which a Trek enthusiast could hope for. 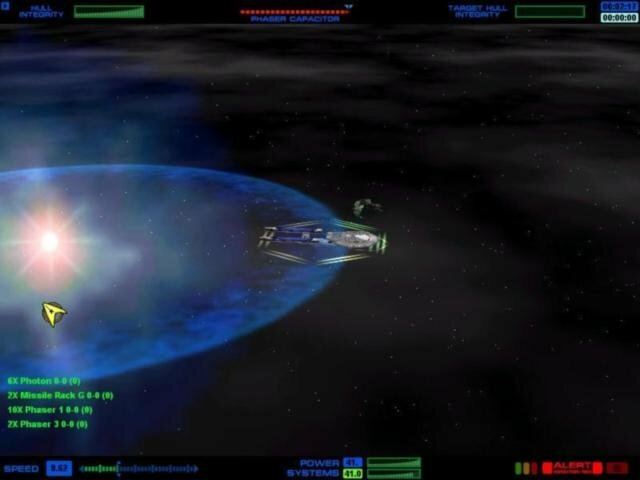 Using the Starfleet Battles rules as a foundation, Starfleet Command attempts to create just the kind of action/strategy hybrid that would recreate both the tactical depth and immediacy of the Trek universe’s most famous interstellar conflicts, along with a few special modifications. 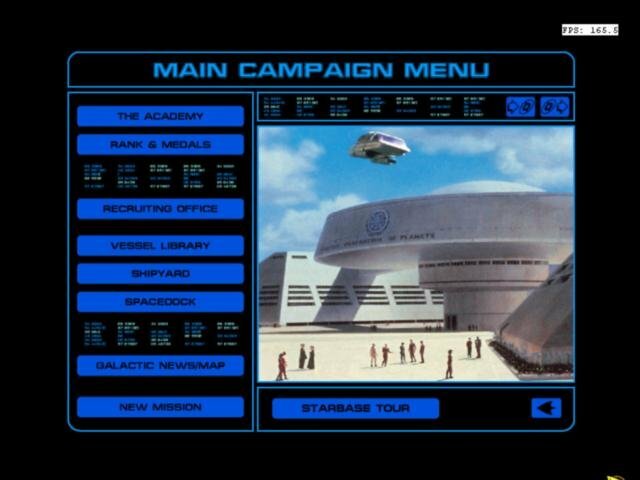 You see, in an interesting departure from the source material, SFC runs in real-time, meaning that aspiring starship captains won’t have the kind of time to ponder their next move that they would have in Starfleet Battles. Yet they still have to manage all aspects of their vessel’s operations. 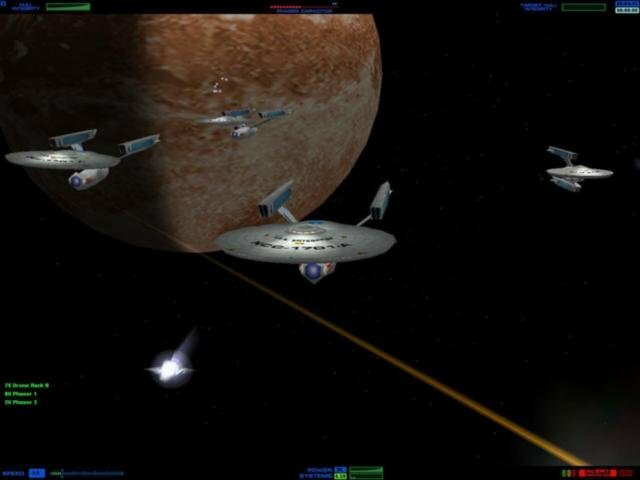 There are six different playable races featured here – Klingon, Romulans, Federation, Hydrans, Lyrans and the Gorn. 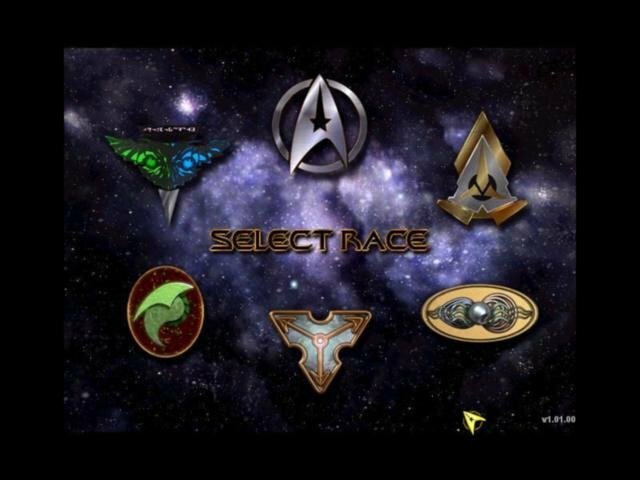 The last group of three races were introduced straight out of the board game, and they fit in nicely in this PC rendition as well. Each have areas of ship design and tactics in which they excel, and some even have access to interesting weaponry like carrier fighters. Game modes available include instant skirmishes or the novel Dynaverse campaign mode. 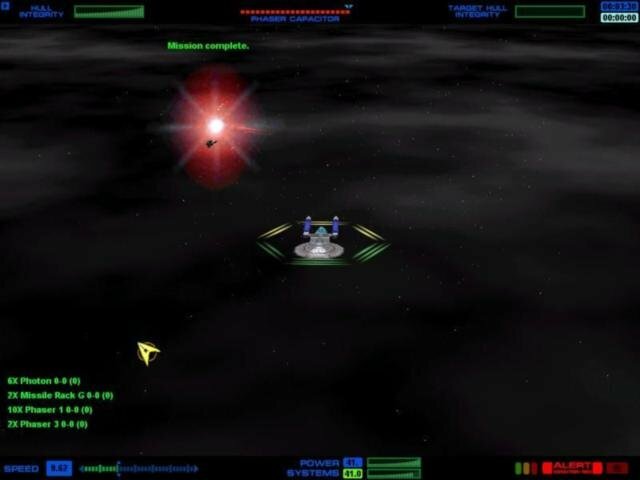 Basically, the Dynaverse system randomly generates missions based on your current experience level, your location in the galaxy, and the political situation at the time. So, one campaign as the Federation may find you fighting border skirmishes with enemy Klingons, while another would have you battling it out in the heart of Lyran territory. There’s an overall galactic map used to monitor who is allied with whom, what conflicts are taking place, and where you are stationed. 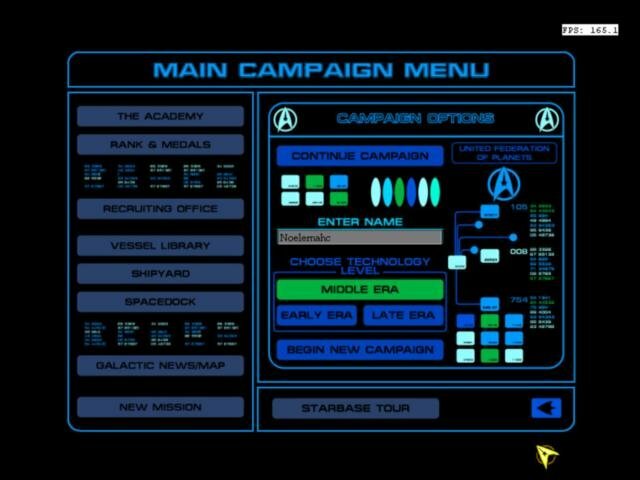 While this campaign system is solid, it doesn’t provide any backstory – which comes later in the campaign when the scripted missions comes in. 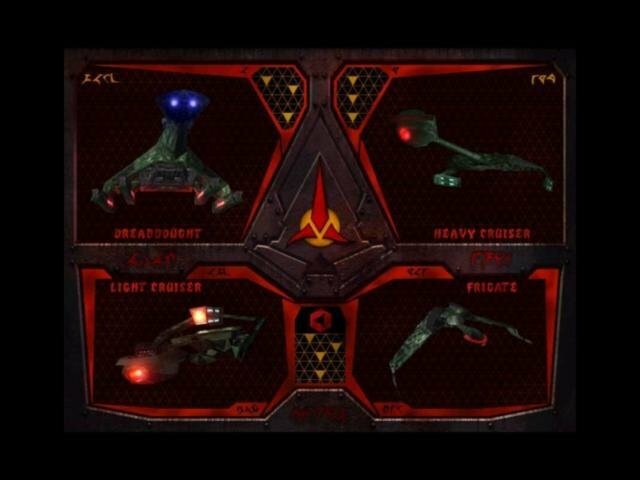 The many and varied capabilities of each race’s starships, coupled with the range of situations in which you will be placed by the Dynaverse system, provide a constant strategic and tactical challenge. 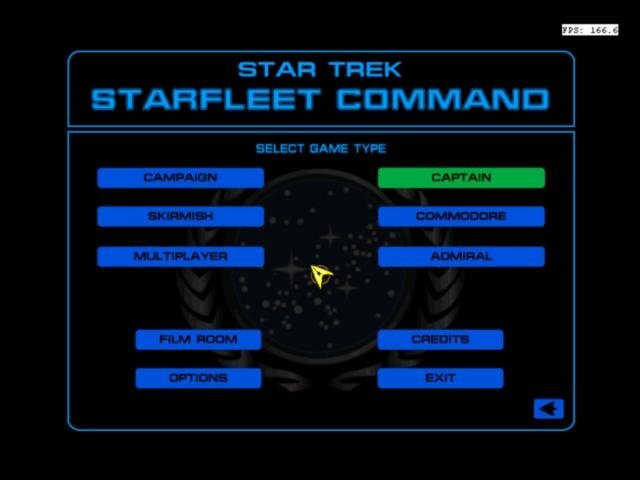 It’s a lot of fun battling it out with various alien races, building up your ship and crew, and earning even more prestige. Even with all of its interface complexity, which takes a lot of time to master, the game would have been much better if it weren’t for that one time-honored fun killer – bugs. 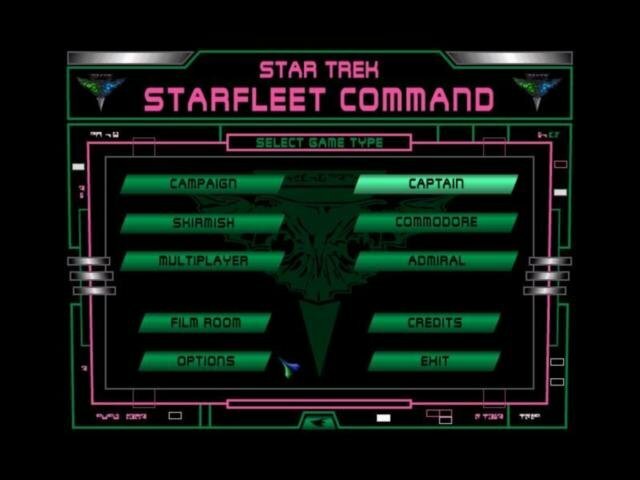 From minor rule discrepancies to system crashes, Starfleet Command has its share, and are definitely noticeable. 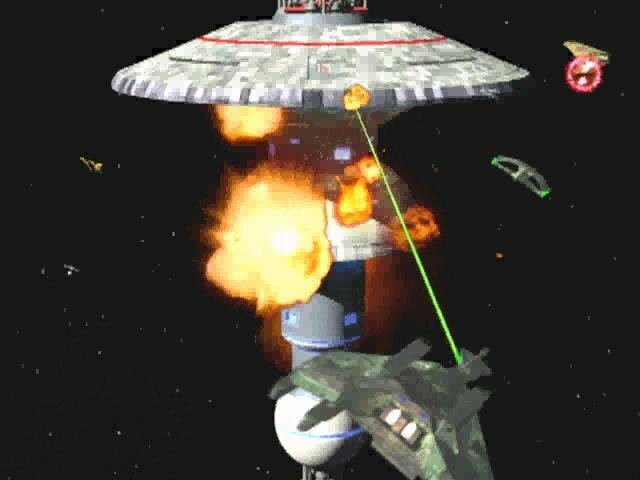 Another problem with the game is the way you upgrade your ship. There is not really that much that you can upgrade, and often tasks seems to become repetitive. This repetition in order to gain more prestige to purchase upgrades is very tedious. 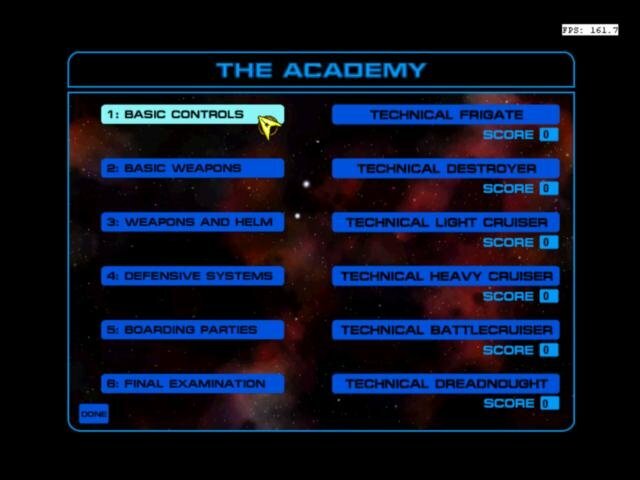 Another aspect to consider with Starfleet Academy is the game difficulty and inherent learning curve. 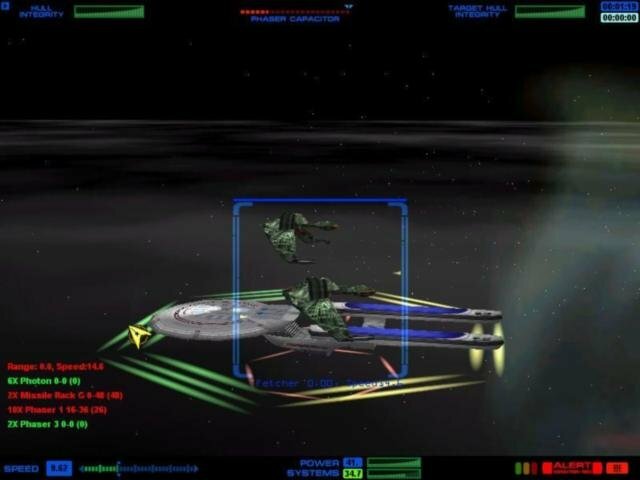 It will take some time to figure out which moves and weapons to use when engaging ships, but the enemy AI-manned ships won’t have this issue, and a lot of early combat is hit and miss as you try to find the best fighting tactics. 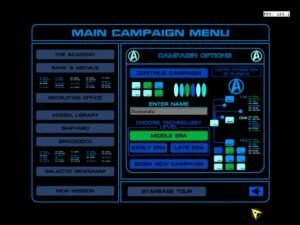 Steep learning curve, a complex interface and a few annoying bugs aside, Starfleet Academy is a good strategy game that is just short of greatness. 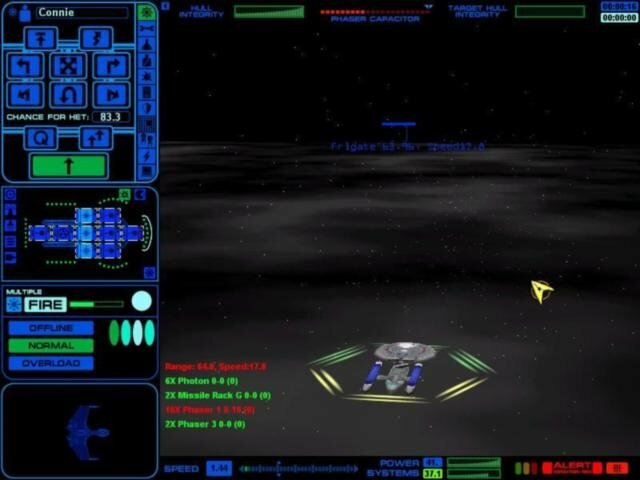 As far as Star Trek strategy games go, however, it’s definitely a keeper.